Are you sensing a theme? Maybe this is just the beginning, but since I don’t have a slow juicer (but desperately want one! ), I’m making a variety of ades this summer. I just love their sweet/tart taste! I’m probably such a fan due to my sweettart addiction as a child. It’s like a healthy version that you drink. So why guava you might ask? Well….our ade making this summer is probably going to follow whatever is in season or on sale at the grocery stores in the Chicago suburbs. I make a shopping list weekly and there are 10 stores within 3 miles of my house, not including Costco and Whole Foods. Back to guavas, they were on sale at the time I crafted this recipe. Not that they were out on the floor, but the produce guy did grab the box so I could get a few. Mine ended up being yellow guavas instead of the typical green and pink, but they still have a strawberry pineapple taste. Just one of the ways I drink my fruit. 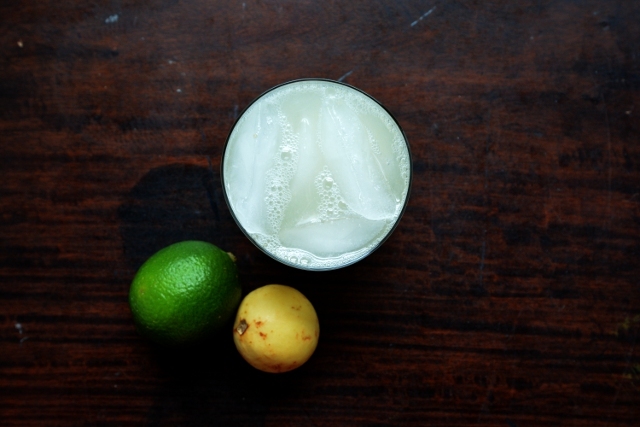 This guava limeade is simple and delicious. 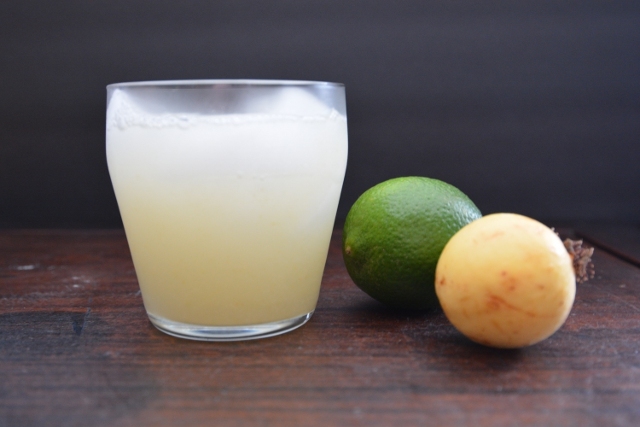 In a blender, combine guavas and lime juice: puree till smooth. In a small saucepan, combine sugar and 1/2 cup water and heat until you’ve got a simple syrup. Combine guava puree, simple syrup and 2 cups water in a pitcher and chill a couple hours in the refrigerator. Serve over ice. Pairs well with rum or vodka for when you want a cocktail.